A Rinkya Blog: Ponyo On A Cliff Image Revealed! 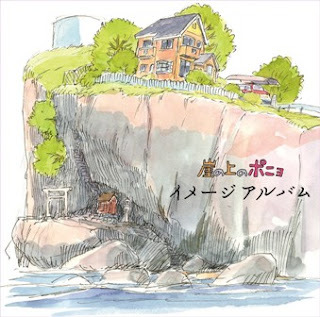 Ponyo on a Cliff (Gake no ue no Ponyo) image album will be released on March 5th. A sneak peak at the cover image of the album was published on the composer Hisaishi Joe's website. The image is the second to be released of the much anticipated Miyazaki film. The album is available for preorder via Amazon Japan, order via Rinkya Stores!